Flowers have a way of brightening up our mood and the ambience of a space. The colourful bloom they bring when a bride holds her bouquet, the fragrance they add to home decor and the empowering soothing feeling that engulfs the environment; flowers are truly important in our daily lives. 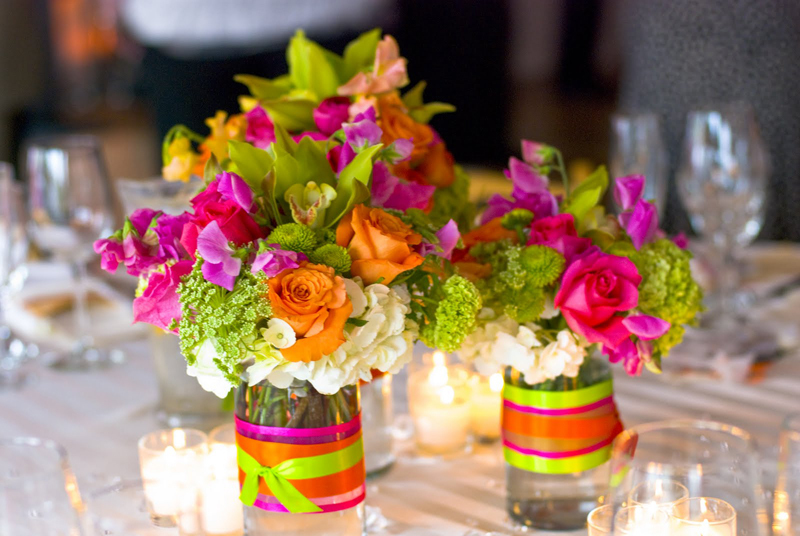 Beyond those special occasions, flowers can be used to add a unique, fun and powerful vibe to an environment, specifically a living space. While those regular flower vases work wonders, there are some other creative ways that flowers can be displayed to liven up a home. From the kitchen, parlours, rooms, bathrooms to the dinning; you can get your creative hats and build a more welcoming and inspiring atmosphere in your home by adding flowers. In fact, it's time to think outside of your comfort zone. From mason jars, small vase of peonies to vintage additions, creating fabulous floral arrangements doesn't have to be expensive or time consuming. 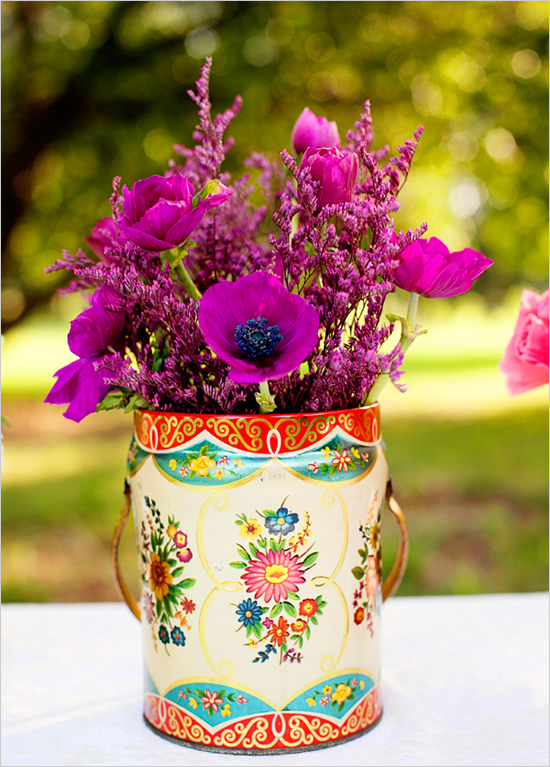 Mason jars have so many uses and can be well utilized to brighten up any environment. In place of mason jars, don't throw away those jam jars yet, they can serve you really well. Group the flowers into a reasonable amount and cut the stems to the desired height. When combining different flowers, pay attention to the theme you're working with for your home or office space and consider the symbols of those flowers before you purchase them. 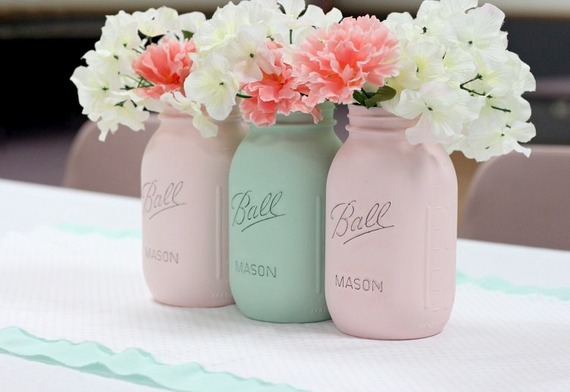 Give those mason jars a lift by painting or decorating them to fit your taste. They'll look beautifully arranged on window sills or coffee tables right under the light to create a vibrant environment. There are probably some abandoned tea cups in your house that can be revamped. In this case, size doesn't matter. 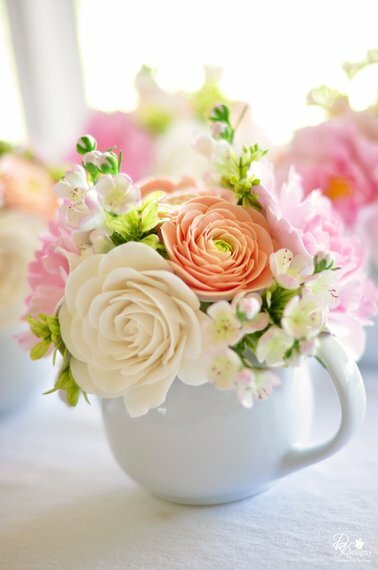 Clean up those tea cups and fill them with beautiful flowers that will adorn your living space. These can work in different parts of the home, from dining areas to your home library. There are some retro tea and coffee tins that could add some uniqueness to your living space. From elegant red roses, sunflowers to white roses, you can revamp your vintage containers to create a decorative environment. There are different ways to add vintage tins to your space, including on kitchen tables, hanging on walls to your creative shelf area. 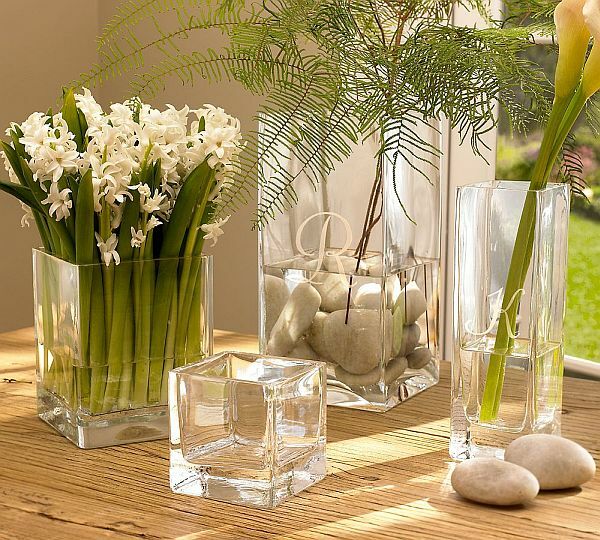 For those really long flowers that you don't want to cut, consider using bottles or long vases to serve this purpose. Everything from a coke bottle, used wine bottle, to a transparent glass vase. Depending on your preference, you can decide to decorate the bottles to avoid it looking old or used. Such containers are great because they give more room to fill in water, pebbles or other decorative ornaments. These are especially useful during those summer heat times. 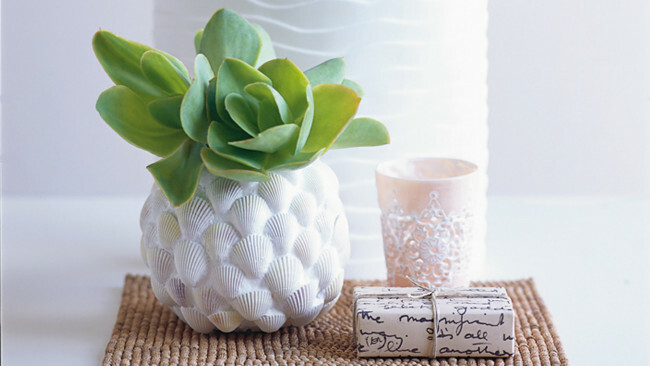 A trip to the beach or store to choose a wide mouthed shell to display some flowers can be well worth it. Think about the ambience this addition can add to the feel of your living room or bed side. Yes! 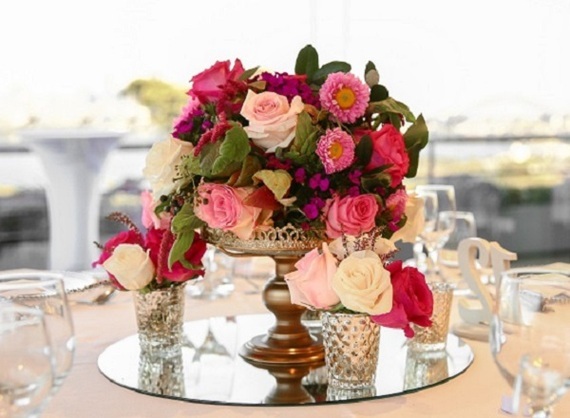 Cake stands can be used for flower decorations too. What's really amazing about this tip is the fact that it can be used not only for home or office spaces, but also for wedding centrepieces. With these creative ways of styling up your home with flowers, you can be sure of always having an inspired environment. 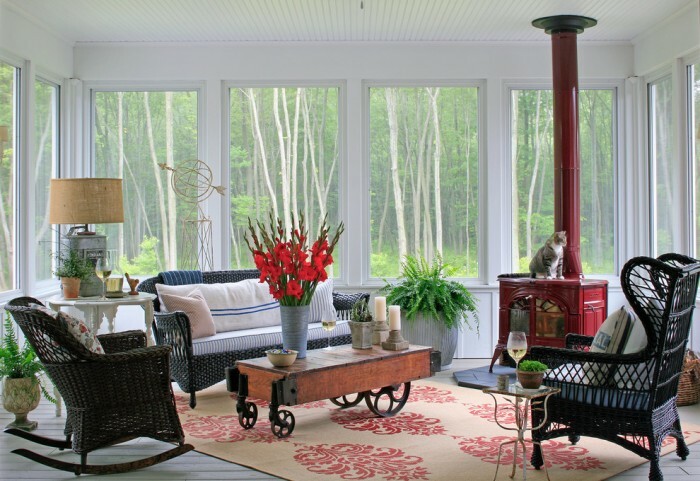 When in doubt about using containers, it's best to research for inspiration and get ready to embellish some of those old wares to bring life back to your home or office space. Some ideas range from ribbons, bows, glitters, pebbles, jewels, shells and leaves- to give a natural look.